Amsterdam Pullover Sweatshirt by Level. Give your wardrobe a taste of the Netherlands in the black and white Amsterdam pullover sweatshirt. Features bold black Amsterdam graphic on front chest. 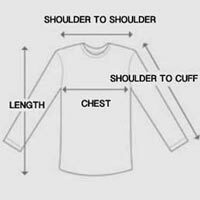 Designed with trendy ribbing detail on both sleeves and exaggerated cuffs. Amsterdam pullover sweatshirt includes edgy accents with two side zippers along bottom hemline. Easy pullover design in soft cotton fabric ideal for layering over tees and tanks. Black and white colorblocking gives this top the most up-to-date color trend. Take on worldwide style in the Amsterdam pullover sweatshirt. This sweater is a great find, I get compliments all the time. I truly love the feel and the look . I am a small and I got a medium and it fits.